Competing on price in the telecommunications industry has, in developed markets, resulted in connectivity services becoming commoditised and margins squeezed. As consumers’ brand relationships have shifted from Communications Service Providers (CSPs) to the device manufacturers and apps that run over the top of networks, the CSPs are moving toward customer experience as a competitive differentiator. In this short series I’ll explore how this trend toward customer experience is underpinned by data, advanced analytics and connecting customer decisions across the lifecycle to optimise revenues. First, let’s look at some of the considerations CSPs need to consider as they move toward an analytically differentiated customer experience. What can we do to retain customers? What else can we do to drive revenue growth and customer value? The key to answering these questions will lie in the CSP’s ability to get the right insight to the right people at the right time. Whilst machine learning will help accelerate this and artificial intelligence may, in future, be allowed to take certain decisions that aren’t referred to a human checkpoint, many CSPs are some way from being able to use these technologies to personalise experiences for customers and optimise resources. Using data to your advantage requires leadership. If decisions are to be made from the insight that data creates, then this is as much about the buy-in of management as it is investing in the right technology. There is no doubt that CSPs sit on a rich vein of customer relationship data. But, how many would profess to know what to do with it all? It can be argued that an abundance of data makes decision making harder. A large proportion of data collected is useless and could be considered a distraction. Furthermore, actually being able to access all of the data can be a challenge, particularly in CSPs that grew quickly, and latterly through merger and acquisition, leaving a tangle of legacy data silos to navigate. There is real value in taking steps to address data availability and integrating data across the organisation before embarking on ambitions to utilise that data to drive better customer decisions. Creating an organisational cultural environment that aligns analytical talent with customer experience strategy will enable an organisation to identify and implement the right technology building blocks in order to realise business value and allow analytical innovation to flow. CSPs aspire to reach a level of sophistication where they can anticipate a customer’s needs and fulfil these before the customer even knows they have that need. This is easier said than done in large CSP organisations, which are typically slow moving, can be risk-averse and are organisationally siloed. The C suite needs to set a clear direction for what data and analytics are expected to achieve for the business, and invest in the right people and technology to bring this to life. A combination of managerial curiosity coupled with analytical experience and domain expertise will test the right hypotheses against the right data with the right context and therefore lead to insights that can fuel customer experience decisions. The ability to not only garner insight but to put that insight into action by executing complex customer strategies will improve loyalty and satisfaction. The agility to continuously compare different strategies will result in more meaningful interactions with customers as CSPs understand more than ever before about customer needs and behaviour. 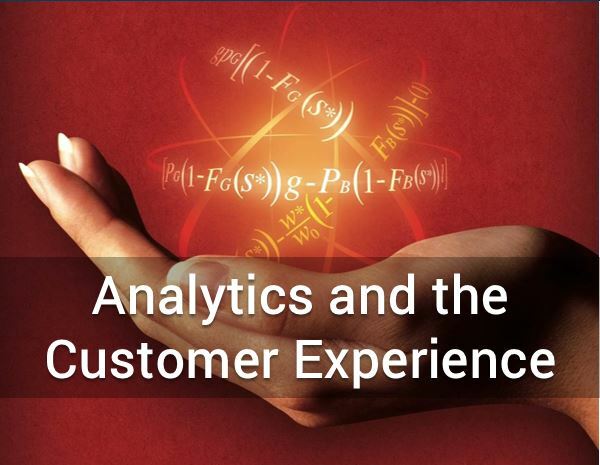 In my next post I’ll explore customer experience scenarios that can be improved by advanced analytics, and how CSPs are using this to become customer-led.